Tuberculosis is the top infectious disease killer worldwide and growing resistance to existing treatments is a global public health threat. To help find new treatments, the Weill Cornell Medicine team, working with Sanofi and other drug companies screened 1.3 million experimental drugs using machines that can test hundreds to thousands of drugs simultaneously to find one that kills Mycobacterium tuberculosis, the bacteria that causes tuberculosis. In a study published Feb. 1 in Science, the team discovered that one such drug candidate, called 8918, blocked the activity of an enzyme called phosphopantetheinyl transferase (PptT) that is essential for building the waxy coating that protects M. tuberculosis from many drugs and actively contributes to the bacterium’s virulence. Isoniazid also blocks the production of this coating. Blocking PptT, which incapacitates eight other enzymes involved in the production of this outer membrane, would provide a way around resistance to isoniazid. “A single hit knocks out multiple other central pathways,” said senior author Dr. Carl Nathan, chairman of the Department Microbiology and Immunology and the R.A. Rees Pritchett Professor of Microbiology at Weill Cornell Medicine. He and his colleagues confirmed the compound’s effects in experiments in mice with tuberculosis. Experiments were conducted in Weill Cornell Medicine’s Biologic Safety Level 3 facility to protect the investigators and prevent the bacteria from escaping. Dr. Elaine Ballinger, a graduate student in Dr. Nathan’s laboratory, then grew M. tuberculosis with 8918 to identify mutant strains of the bacteria that could survive the compound’s effects. 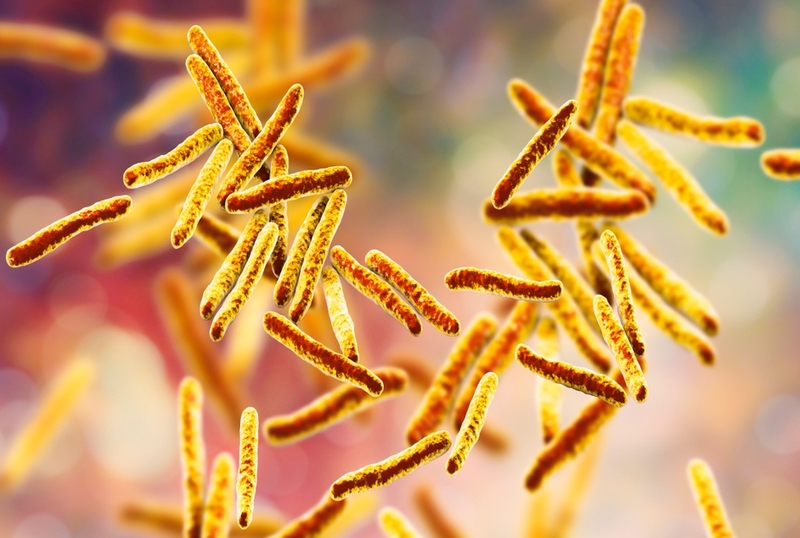 The genomes of these 8918-resistant mutant strains of tuberculosis were then sequenced to find out why they survived when most other M. tuberculosis strains were killed by the compound. In the process, she discovered a new enzyme, Ppt hydrolase (PptH), that unexpectedly appears to increase the efficacy of 8918 by partially undoing the action of PptT. Mutations that stop PptH from working allow the bacteria to survive treatment with 8918. Dr. Nathan said this enzyme presents a major puzzle since it seems to work against the interests of the bacteria. “If we can figure this out, there is an opportunity for a major gain in insight about the biology of the bacteria,” Dr. Nathan said, who completed this work through the National Institutes of Health-funded Tri-Institutional Tuberculosis Research Unit (TBRU). The TBRU, for which Dr. Nathan is a co-principal investigator, is a research alliance among Weill Cornell Medicine, Memorial Sloan Kettering Cancer Center, The Rockefeller University and three other institutions, in close alliance with voluntary pharmaceutical partners, that helps to address significant gaps in understanding how TB bacteria establish and maintain infection in the human body, as well as how agents might attack vulnerabilities in the bacteria. A grant from the Bill & Melinda Gates Foundation will be used to assess the therapeutic potential of 8918. Beyond offering new insights on tuberculosis, the discovery of PptH has identified a new way that bacteria can develop resistance to a drug: in this case, via mutations that knock out an enzyme that regulates PptT and works synergistically with the drug. The discovery, he said, highlights the importance of academic translational and basic researchers working together along with drug development experts from pharmaceutical companies.